So you know that we here at Otaku Ohana love our video games. And gamers don’t often have the greatest reputation — you know the stereotypes, which I won’t deign to repeat here. You also know we love our charity gaming events — see our past coverage of Child’s Play Charity, which helps children’s hospitals worldwide. Admittedly, I’d never heard of speedrunning until just a few years ago when I stumbled across a particular video game marathon for charity. Seeing the insane skills and the vast knowledge that the gamers had to employ to effortlessly whip through these games like Simon Belmont through Dracula, the same games that I loved and sweated and cursed over and spent wayyyyy too much of my life — that got me COMPLETELY hooked. And the fact that this was being done to benefit a worthy cause was a big, big bonus. It’s only in the past few months that I became aware of various other video game marathon charity events, both speedrunning and otherwise, and I’d like to spread the word about them by sharing them here. These broadcast live online, usually via Twitch, and they’re listed here in generally chronological order. (Please note that the months listed are only an estimate based on when they occurred last year and that they may change.) Check them out and, if you can, please donate to their cause! Remember, even a dollar is a big help. Even if you’re not able to donate, you can help by talking about them on social media and raising awareness about them and the causes they support. Author Wilma JandocPosted on May 13, 2016 Categories games, Wilma JandocTags agdq, awesome games done quick, child's play, Desert Bus for Hope, games, Nick's Marathon, RPG Limit Break, sgdq, Sonic Marathon, summer games done quick, wilma, Zeldathon1 Comment on Go, speedrunners, go! Hi everyone, Jason here. 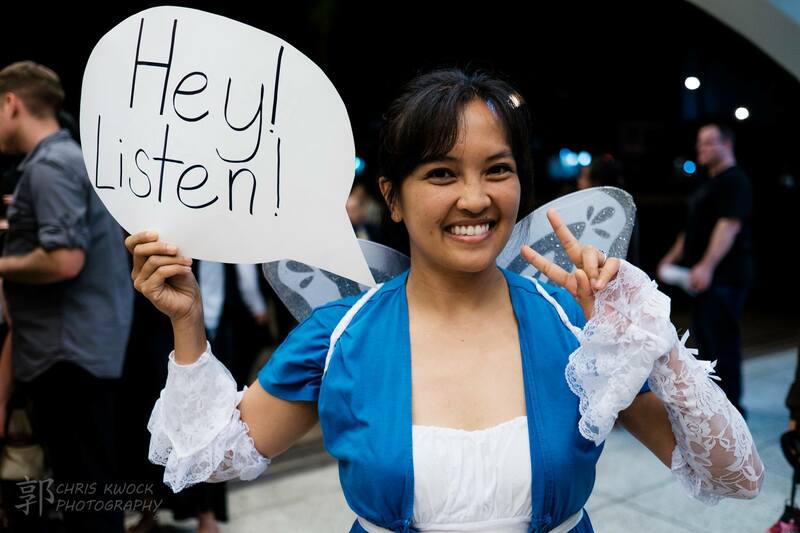 Tag-team partner in fandom Wilma J. and I both attended “Legend of Zelda: Symphony of the Goddesses” at the Blaisdell Concert Hall Friday night, and we each had our own takeaways from the show. Most of the music commentary will be handled by Wilma, while the extracurriculars will be handled by me (written in chunks of italic type). 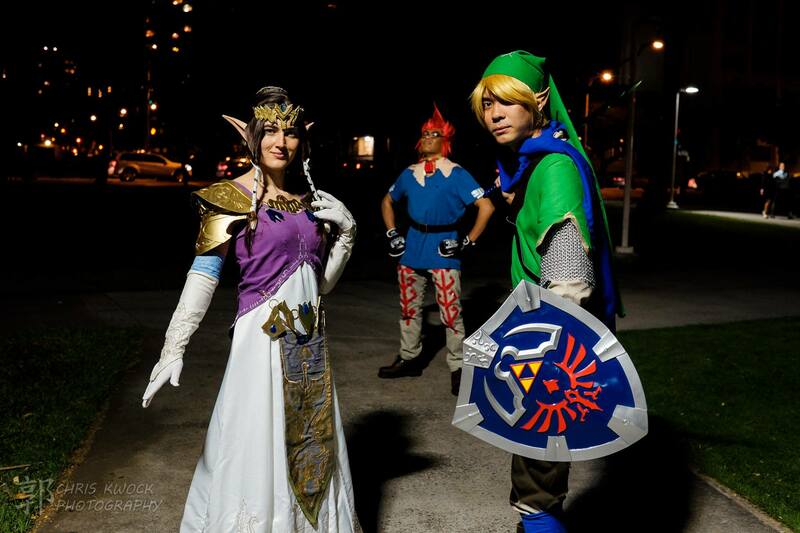 Video game fans in Hawaii, particularly fans of the Legend of Zelda series, were treated Friday night to the Symphony of the Goddesses — the first large-scale, multimedia game concert held in the isles. Joining forces with Jason Michael Paul Productions, who has produced other video game concerts in the U.S. such as “Dear Friends: Music from Final Fantasy” and its subsequent “More Friends” concert, were the Hawaii Symphony Orchestra and the Oahu Choral Society. 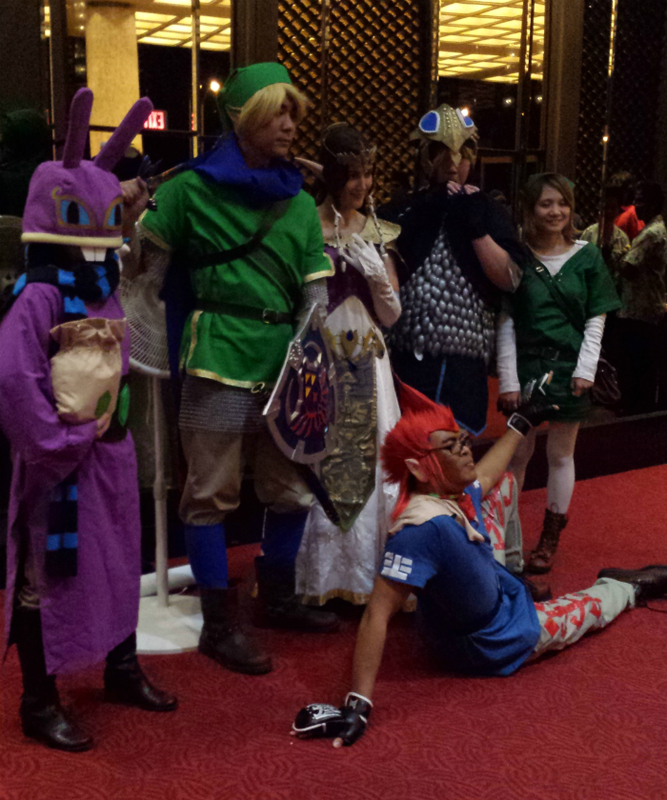 Several people wore the title mask from the game Majora’s Mask. Many others simply wore Zelda-related shirts — dozens roamed around with tops emblazoned with the game’s logo, the all-important Triforce, the equally important heart meter, the iconic 8-bit sword from the original game for the Nintendo Entertainment System, and much more. It was great to see such a wide array on display. For me, that diversity came in stark contrast to the official merchandise table — one T-shirt design, an official concert poster, a book of Zelda series sheet music and copies of the Hyrule Historia art book and Link Between Worlds for the Nintendo 3DS were all that were being offered. All of those seemed to be selling well — heck, the books sold out — but still, c’mon, people, we want to throw MORE money at you. Give us some CDs or a nice glossy program or something. Please? 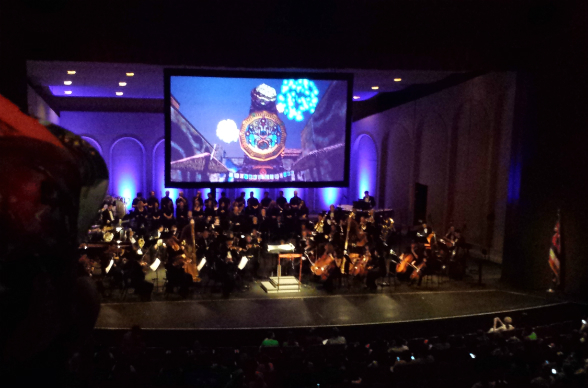 Before the concert began, a slideshow was projected on a large screen above the orchestra, showing trivia questions on the various Zelda games interspersed with various scenic shots. There weren’t many questions; the entire thing scrolled by in about five minutes or so before repeating. We took our seats about 10 minutes before the concert was scheduled to begin and saw the trivia go through maybe 1.5 cycles. I don’t think it was, either. Which brings me to my “I guess I’m one of those crotchety old people now, because I’m about to go off on young people these days” rant: There were quite a few people who treated the show like one of the side events of an anime convention rather than something with the gravitas of a symphony orchestra concert. Now, granted, I’ve seen this sort of thing happen before — Wilma and I attended the “Dear Friends” concert in Los Angeles in 2004 — so I was willing to concede that, yes, not everyone’s going to dress up in their nicest attire. A good chunk of the audience probably hasn’t seen the symphony perform since elementary school field trip days. But still, that comment, the random CHEE-HOOOOOOting here and there, the whispered snark by the people in balcony row L, around the high 20-low 30s seats — yes, I’m specifically calling you guys out, particularly the guy who was whispering something about Harvest Moon at the beginning of the “Great Fairy’s Fountain” intermezzo — ugh. Just because you paid $48 and up doesn’t give you the right to turn it into a personal Mystery Science Theater 3000-esque snarkfest and dampen the experience for those around you who came to listen to and appreciate the music. Afterward, Remy Zane, a DJ with KORL 97.1 (and who, incidentally, is also one of our friends! ), came out onstage to welcome the audience and give a short explanation of what we would be hearing. There were audible laughs and groans at the mention of Tingle (another inside joke; if you play Ocarina of Time you’ll understand). Remy came out on stage at various points during the concert to briefly introduce the pieces. In contrast, the next interlude — a medley of various boss battle themes — was mediocre. Boss themes are usually heart-pounding pieces of music, and with good reason, but the arrangement of these tunes was uninspired and didn’t really match the excitement of the onscreen video. Throughout the concert, stage lighting added another level of emotion to the music and videos, more subtle than not, except when the lighting turned a fiery red to match, for example, the lava-based stage of the giant dinosaur boss King Dodongo from Ocarina of Time. Another more-subtle-than-not addition was the Oahu Choral Society. I’ve watched two video game concerts now and I’ve always felt a little sorry for the choral performers. Their singing was complementary rather than in the forefront, and I’m sure it was always meant to be that way. The chorus was also pretty hidden all the way back in the stage (people in the back rows probably had a better view of the chorus; we were sitting much nearer to the stage and could just barely see the tops of their heads), and if the camera hadn’t shown them on screen from time to time, you probably would not have realized that they were adding their voices to the instruments. I would love to know what exactly they WERE singing, as none of the Zelda music has lyrics. The next two interludes were pretty straightforward though still eminently enjoyable suites of music from Majora’s Mask and A Link Between Worlds. Then came a Prelude, telling the story of the creation of the land of Hyrule, which involves the three goddesses — Din, Nayru and Farore — alluded to in the concert’s title. The video for this segment was taken directly from the Ocarina of Time and I assume that the Prelude was simply an orchestration of the accompanying music in the game (it’s been a long time since I played the game and I can’t remember how the music went). Then came a couple of movements with tunes from Ocarina of Time and Wind Waker. Again, it was all very much straightforward, nothing outstanding, but solidly performed. I would, however, take issue with Remy’s comment about Wind Waker, in which he said that it is one of Nintendo’s biggest hits in the series. I may be in a minority here, but I did not enjoy Wind Waker very much, and I thought I remember reading that it didn’t do too well. The art style was completely different from anything in the series up till that point, and while that did give me pause, the main thing I disliked about the game was the near-endless sailing you had to do to travel to other places. The long, monotonous expanses of water broke up the action and bored me half to death. Even when you later unlocked warp portals, they often weren’t close enough to the area you really wanted to go to, forcing you to do yet more sailing. Exploring was also tedious, and the controls of the ship were sometimes difficult to handle. But, well, hey; if it was a commercial success for Nintendo (enough that they decided to do an HD remake for the Wii U, even), then power to them, but all I know is that it’s not a game I’d rate very highly among the series. For my part, I thought Wind Waker was OK. Better than Twilight Princess, for sure, which lost me on that cursed mandatory fishing minigame (Wii version) and Link’s transformation into a wolf, which seemingly lasted foreeeeeeeever and bored me to a point where I didn’t feel like waiting for him to be transformed back into a human (Gamecube version). And for the record, the Otaku Ohana Anonymous Director of Forced Social Interaction now likes Toon Link more than Standard Canon Link because “he looks cute.” So there’s that. But as much as the video game world has gone forward in terms of graphics and sound, the theme of the night, really, was nostalgia. And the last movement — “Time of Falling Rain” from A Link to the Past — before the Finale showed this well. 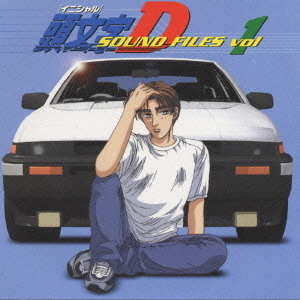 As Remy mentioned during one of his times onstage, “Falling Rain” is one of the most popular pieces from the series overall and the performance garnered a lot of applause. Heck, Link to the Past and its semi-sequel A Link Between Worlds are two of the series’ most beloved titles. “Falling Rain,” like the rest of the performance, was accompanied by scenes from the game. But because this was a Super Nintendo game, that meant going back to the two-dimensional, sprite-based world of Hyrule. As Link to the Past is one of my favorite games in the series, I didn’t mind — and in fact I got a HUGE nostalgic kick out of it all, especially when the orchestra moved into the Dark World theme, a subtly menacing bit of music that gained some lightheartedness in this arrangement. The orchestra, chorus, conductor and producer Jason Michael Paul — who came out on stage after the Finale — got standing ovations, naturally. And just as naturally, there was more to come after the Finale. First came new music and exclusive clips from Majora’s Mask 3D, a remake of the original Nintendo 64 game that’s due out in North America in mid-Februrary for the Nintendo 3DS. And lastly came a brief medley of Wind Waker music and scenes from its rerelease on the Wii U. The concert overall was what I expected. My main big disappointment is that the original Zelda overworld theme didn’t get the singular performance that I felt it should have been given. It’s hands-down the most recognizable piece in the whole series, and while it was woven into other movements, I feel it should have gotten its own standalone orchestration. 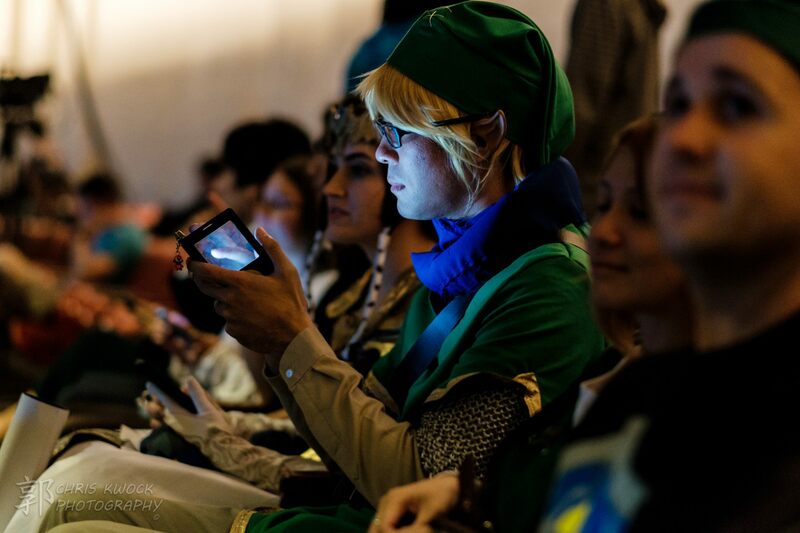 Now, the main theme may very well have been covered in other seasons — apparently, the Symphony of the Goddesses has had different “seasons” with playlist changes; the one we heard at the Blaisdell was the “Master Quest season.” But if it has, then I wish it would be included as a staple bonus in all later seasons. I was waiting on pins and needles for that song, and it sadly never came. Another disappointment is that more Zelda games from the handheld consoles weren’t represented. For example, Link’s Awakening, originally for the Game Boy, was an excellent addition to the series with a great storyline, interesting new gameplay elements and an exquisitely beautiful theme in “The Ballad of the Wind Fish,” and I would have loved to hear that song orchestrated. Granted, famed Zelda series composer Koji Kondo was not the composer for most of the handheld games and so I’m sure there were licensing or other rights issues, but there are still good pieces of music and if it were possible to incorporate more, I’d love to hear them. My disappointments? I was kinda hoping there was some way of inserting the “You found a secret!” chime or the “Hooray! You found a 5-rupee piece in this out-of-the-way treasure chest!” fanfare somewhere in the show — they’re musical interludes of a few seconds, of course, but it would’ve been a neat little Easter egg and a nod to the fans. As for longer pieces, the overworld theme from Spirit Tracks comes to mind, mostly because that thing got wedged in my brain during my play-through several years back and refuses to let go. Please send help. Also a letdown was the fact that there were no printed programs. While I, like Jason mentioned above, would have immediately bought a commemorative glossy book, I was more disappointed that there was no regular concert program. Yes, most of the people attending were most likely fans of the series and already knew the games quite well, but many others weren’t, and a program giving a brief history of the series would’ve been nice. And Zelda-related stuff aside, EVERYONE would have benefited from having information on the producer, original composers, music arrangers, the conductor, the symphony orchestra, the chorus, the video editor, lighting director, stage staff, etc. The program is also often where production people often give thoughts or other behind-the-scenes looks at the music, etc. The lack of all that was an unfortunately lost opportunity. But after all that, the positives still outweigh the negatives, and if another season of “Symphony of the Goddesses” came along with a different selection of music to perform, I’d still go see it. I would, too. Hopefully the success of this show will encourage other touring symphonic suites to stop by here as well — Final Fantasy concert, anyone? Or perhaps “Video Games Live“? One can dream. It really is an experience, especially if the concert is always being tweaked and improved. I appreciate any event that elevates and enhances what is often seen as a “juvenile” activity, and lots of kudos go out to everyone from the producers to the orchestra to the fans for making this happen. Here’s hoping this won’t be the last such concert that we see here. In my previous post, I rambled on extensively mostly about Legend of Zelda-related video games. That actually hadn’t been my intent. I was supposed to ramble about Borderlands: The Pre-Sequel, but I got distracted because I went on some kind of extended monologue about stuff leading up to Borderlands. Anyway, let me get back on my intended track. This will actually be a great time to take up the subject again since Gearbox and 2K recently announced the March release of Borderlands: The Handsome Collection, which comprises Borderlands 2 and the Pre-Sequel, as well as the related downloadable content (DLC) for both games, remade for next-generation systems (Xbox One and Playstation 4). I’ve also heard tell that the original Borderlands might eventually be included if the collection does well. Blogs are wonderful things. Most of the ones associated with the Star-Advertiser, including this one, are informational. Which is great, but it would be a shame, really, to limit it to that. Because here, we can talk about whatever (almost). We can be informal. We don’t need to adhere to strict grammar rules or AP style. And it certainly has been some time since we here at Otaku Ohana have just, well, shot the breeze. So that’s what this post is about. Well, not completely. It’s more like me going on very long ramblings about video games, because this is probably the best place for me to ramble about them. So if that’s not what you’re here for, and you just want to pass on by, then I’ll understand. By now it’s pretty well established that we — and by that I mostly mean “I,” although tag-team partner in fandom Jason Y. is certainly no stranger to the games, either — are huge fans of the Professor Layton and Ace Attorney (aka Phoenix Wright) series of games. So much that there was much crying (on my part) when the second Miles Edgeworth Investigations game was not released in the U.S., and much disdain (on many fans’ parts) when gaming website Kotaku revealed the reason for that. There was equally much tearing of hair as Capcom remained noncommittal about the release prospects for Professor Layton vs. Ace Attorney, the Nintendo 3DS game that pretty much is what the title says. Fans such as myself might be eased somewhat in their pain with the recent release of the game Layton Brothers Mystery Room. As I commented to Jason while I was immersed in the first case, I felt like I was indeed playing a crossover of Layton and Ace Attorney. The caveat? It’s only for the iOS. Yes, only for Apple mobile devices, only for the iPhone and iPad. I will skip over the many exclamations of disbelief I used when I was made aware of that fact. Because, sadly, I have no such device. And I have no plans to buy one. Although, being as Layton- and AA-starved as I was, I had to admit I was teetering dangerously toward getting one. So much that I had to warn my husband (who is a rather staunch non-Apple user, but please don’t comment on that) of the possibility. So how, one may ask, could I have been playing the game if I don’t have an iOS device? Simple: I had to beg Jason to borrow his. (I had actually been borrowing it for a different game; the release of Mystery Room was unexpected and caught me off guard. And I’m sure my fevered, delirious chats to Jason once I found out about it caught HIM off guard, as well.) He walked me through the steps of downloading and installing and BAM! I was soon back in the world of Layton.